Editor’s Selection 4:Nilgiri Mountain Railway to get two new steam locos. 100 Trains….the journey so far…. A warm welcome to this November edition of “On Shed”. The usual features are here..with some extras. WATTRAIN have just completed their tri-annual conference in Frisco ,Texas. More will be said about the papers discussed there, but meantime, this is the film presentation made by Peter Lewis & Sean Dudden,under the title..”How to address the new challenges of tomorrow using the resources we have today”. And a little reminder..and inducement ..to take advantage of Railway Artist James Green’s £10 off offer!! Railway Artist James Green has recently been elected to a full member of The Guild of Railway Artists, this is of little surprise as his breath taking watercolour and ink railway paintings are among some of the best in the field. James has been painting railway subjects since 2010 with his painting ‘Tornado’ being the first of this subject matter. 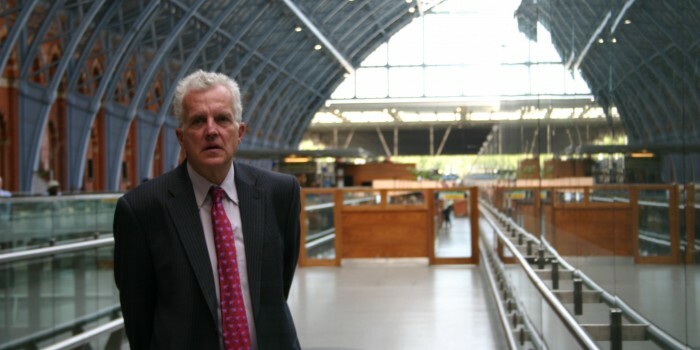 Since then James has gained many collectors of his limited edition prints within the railway community and with that a reputation to match. James has recently completed his first diesel painting ‘Class 37 at Grangemouth 1976’ a breakaway from steam but one that James says he really enjoyed and will be producing more of in the future, with a Deltic scheduled next. This full time artist also plans to move into a new larger studio by the end of the year, a positive and exciting move which James hopes will end up being much more productive work wise for him. His original works are highly sought after with only one of his current portfolio of railway paintings unsold at present. High quality limited edition prints of his paintings are also available which are extremely collectable. James can often be seen at a number of model railway exhibitions throughout the year including NEC Warley and The National Festival of Railway Modelling at Peterborough. James says its great to be able to showcase his work at events like these as customers looking at his artwork online cannot always appreciate the detail and quality of the finished product. Visit the artists website here to see full range https://www.jamesgreenart.co.uk and as a special discount for ‘On Shed’ readers only James has kindly offered a £10 discount off any railway limited edition purchased over the phone before Jan 2019. To take advantage of this offer call James on 01733 203230 or 07786 995794 and mention ‘On Shed’. Since being founded in 2010, WATTRAIN (The World Alliance of Tourist Trams and Trains) has been at the forefront in promoting the interests of the owners and operators of tourist trams and trains. Its aims are to represent the interests of such operators on a global scale, to advise and assist its members on technical, legal, environmental, cultural, commercial, marketing and other matters, to exchange ideas and information, to encourage best practice and to promote the sector generally. And to build a repository of useful railway related material and sources for member railways and individuals.. In particular, it seeks to ensure that traditional skills are passed on to the next generation. The strategy for achieving those aims is set out in Wattrain’s Strategic Plan. At WATTRAIN’s Conference in Frisco,Texas,(just ended on 2nd November) speakers addressed topical issues and updated technical developments of interest to tram (trolley) or train operators. Here is the filmed contribution from “On Shed’s” Peter S Lewis (with Sean Dudden’s invaluable expertise)..
Two new steam locomotives will chug in the lush green Nilgiri Mountain Railway (NMR) next year as the preliminary works for the manufacture of these locos at the Golden Rock Railway Workshop here has been set in motion. A senior official said around 1,000 components would be required in the manufacture of two steam locos which are to be produced at a cost of ₹8 crore. Critical components such as boilers would be procured from outside agencies and assembled at the workshop. OnSunday, October 7, the Arganda Train, which travels almost 4 kilometers between the Poveda station in Arganda del Rey and the stop of the El Campillo lagoon in Rivas, (on Sundays in spring and autumn 11:00, 12:00 and 13:00 h)., began its fall season dragged again by some steam locomotives with more than 90 years. 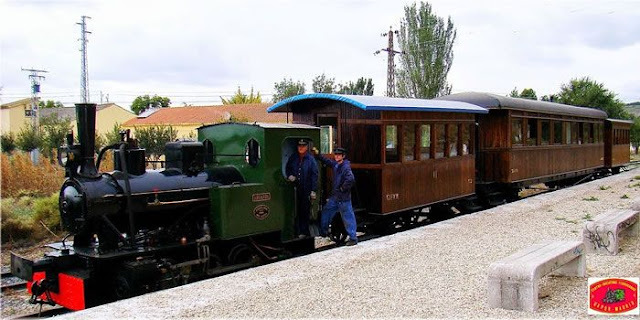 This trip to the past of the Arganda Train, which is managed by the non-profit association Vapor Madrid Railway Initiatives Center (CIFVM), runs along a section of the old railway line of the Tajuña Railway in old wooden cars with a balcony: AC201 manufactured by Carde y Escoriaza in 1916 and cars C-1 and C-2, rebuilt by the Roman Workshop School Aparicio de Arganda. This season, the train will be ‘dragged’ by the nearly centenary Arganda steam locomotives, which has been replaced by the boiler, or by the Áliva, recently restored by the members of the association. One epic, and collaborative, voyage. 40 individual train trips. Iain’s condition is noticeably declining. (ATAXIA)….but it has not stopped him making plans for next year 2019!! This is a quick overview of his plans..
” My “Wheelchair Tour of Europe” is now DEFINITELY on..I will be doing the trip as a Findacure fundraiser/awareness-raise..I will start the actual tour from the Scottish Parliament building in Edinburgh on Monday 29 April 2019, having taken part in the Glasgow Kiltwalk on the 28th April… I will be travelling by train 100% of the time. And for a good reason. I want to showcase the different practices/attitudes to accessibility of different rail companies/countries. It is for a similar reason that I will also visit famous sports stadiums (to show how they cater for disabled spectators). And by showcasing both, I can highlight the best practices found – so that other providers can learn from the real experiences of a wheelchair user. Top: West Highland Line; Token Exchange; Black Manor (C) Robin Coombes. I have travelled on the railways of East Anglia many times over the years. In the early 1970s, British Rail Eastern Region marketed the East Anglian Ranger Ticket. This gave seven days unlimited travel throughout Norfolk and Suffolk although on weekdays it wasn’t valid until after 8:45am. The Trust respectfully requests that anyone wanting to see Tornado follows the rules of the railway and only goes where permitted. Each month the B&O TV Network, starring actor Michael Gross, spotlights a moment in B&O Railroad history. Take a journey into the past and view one or all of these episodes posted on YouTube. This listing is offered in good faith, so there is no guarantee offered or implied.Please confirm running with the relevant tour operator. 1/11/1907 Terence Cuneo, British railway artist (d. 1996). 01/11/1908 The London, Brighton and South Coast Railway introduces the Southern Belle passenger train between London and Brighton. At least 40 rail passengers have died and 80 more have been wounded after a commuter train derailed in south-east London. The 19:43 express train was travelling from Hastings to Charing Cross when at 21:16 it crashed off the rails between Hither Green and Grove Park stations near the Southern Region Continental goods depot. It happened just over a mile from the scene of the Lewisham train crash in 1957 in which 90 people were killed and 175 were injured. The queen re-opens the renovated and rebuilt London St. Pancras station. Thomas Brassey, the railway contractor, is born. 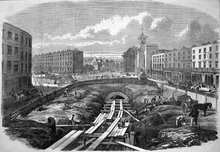 By 1847, it is estimated he had built about one-third of the railways in Britain, and by time of his death in 1870 he had built one in every twenty miles of railway in the world. The last spike was driven into a newly constructed track in British Columbia fulfilling promises made to link Canada by rail. On Thursday 9 November 2017, Network Rail, alongside colleagues from the Department for Transport, Greater Manchester Mayor Andy Burnham, Salford Mayor Paul Dennett, Northern, Transpennine Express, Transport for the North and Transport for Greater Manchester, celebrated the completion of the Ordsall Chord. The Armistice with Germany is signed between 5:12 AM and 5:20 AM in Marshal Foch’s railway carriage, CIWL #2419, in Compiègne Forest bringing an end to World War I. Opening of the St. Petersburg and Moscow railway. The Hetton colliery railway, near Sunderland, opens for locomotive traction. It is designed by George Stephenson to be wholly steam worked. November 18th 2008, the date of “Tornado’s” final main line test run, York- Newcastle-York…. Sir John Fowler, civil engineer and builder of railways, dies. 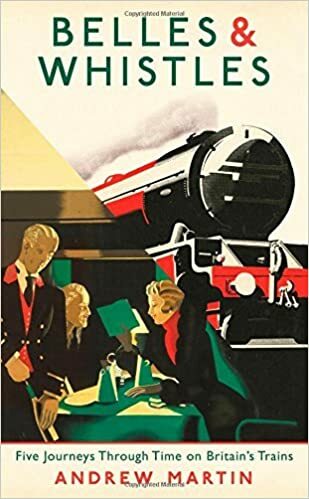 He was Chief Engineer of the Manchester, Sheffield and Lincolnshire Railway and was engineer of the East Lincolnshire Railway, the Oxford, Worcester and Wolverhampton Railway and the Severn Valley Railway. 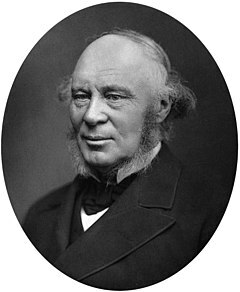 In 1853, he became chief engineer of the Metropolitan Railway. 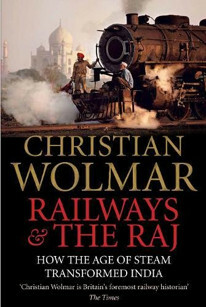 He was also engineer for the District Railway and the Hammersmith and City Railway. Almost 1,000 passengers were trapped in smoke-filled tunnels for three hours after a fire at London’s busiest underground station, Oxford Circus.Emergency services arrived at Oxford Circus within minutes of the blaze breaking out. There were no deaths and only minor injuries.But the damage caused was substantial, and it is expected to be many days before normal service resumes at the station.The cause of the fire, which started at about 2220 GMT in a tunnel connecting the northbound Bakerloo and Victoria lines, is thought to have been caused by an electrical fault on a train or in tunnel cabling. 27/11/1965 7029 Clun Castle heads final steam train on WR. Christian gives around 30 talks per year and has spoken all around the country, as well as in Belgium, Netherlands, Germany, Denmark, France, the United States and Australia where he has twice been invited to provide his expertise. He has given two lectures at the Royal Geographic Society. If you are interested in inviting Christian to speak, please use the form on the Contact page. His fee varies according to the type of organisation and event, though of course he will speak free at charity events.